RIDES DAY BOOKINGS UP NOW! First flying act and first ground display announced! WOW Club Members who are financial at 28.4.17 have the opportunity to enter a draw for a flight for two people in the only flying Avro Anson Mk1 in the world. Originally designed as a coastal maritime reconnaissance aircraft by the RAF in the mid 1930’s, the twin-engined Avro Anson developed multiple roles of coastal reconnaissance bomber, anti-submarine and convoy protection duties as the war progressed. This is the only remaining wartime Avro Anson MK1 in the world that is airworthy. Built in England it flew extensively in WWII in Australia then operated post-war as a passenger and freight hauler between Melbourne and Tasmania. The aircraft was predominantly used for training with a three man crew, which increased to four with a gun turret installed and modifications to carry bombs. 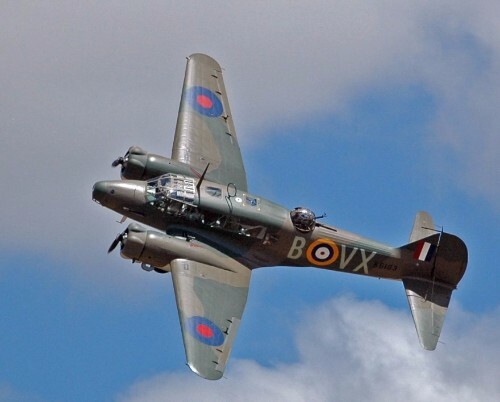 Used briefly in combat it became the main aircraft for training multi-engine pilots for Lancasters as well as navigators, bomb-aimers, wireless operators and airgunners. The RNZAF used twenty-three of the aircraft as navigation trainers during WWII. Perhaps it's time for you to join the WOW Club so you too can partake of these amazing opportunities! Join here now. WOW has just announced one of the most popular displays from the 2012 Airshow will be returning as part of the line-up for the 30th anniversary Airshow next year. Wellington-based glider pilot, Doug Hamilton, will be reprising his stunning display set to classical music. The ASH25 has one of the biggest wing spans of any glider in the world. Doug’s performance in 2012 took the crowd by surprise. 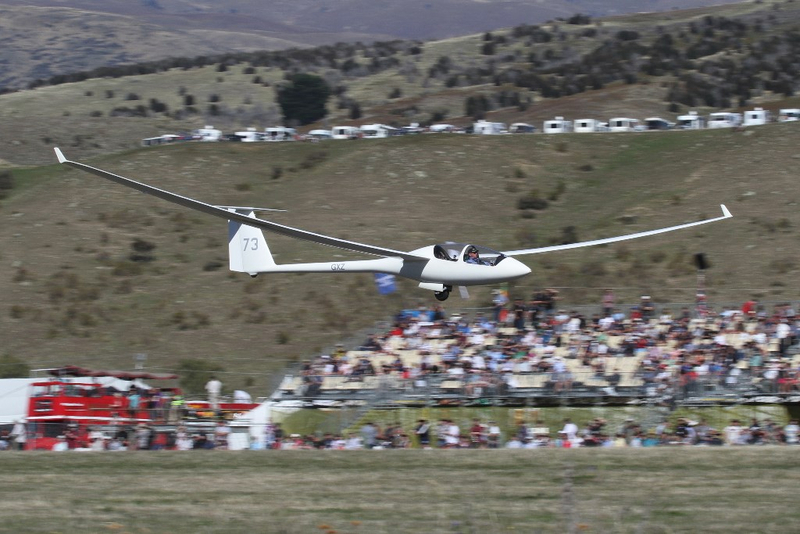 The performance, coupled with the soaring music, mesmerised many in the crowd and Doug was given a huge ovation at the completion of the act when he brought the glider to a stop with the wing tip resting in the hand of a child on the runway. Doug Hamilton has been flying gliders for more than 30 years and has numerous achievements in gliding including a non-stop 1000 km flight and has spent time gliding in the USA and Argentina. Possibly the best line up ever outside the United States of classic Packard motor vehicles will be on display at next year’s Airshow. 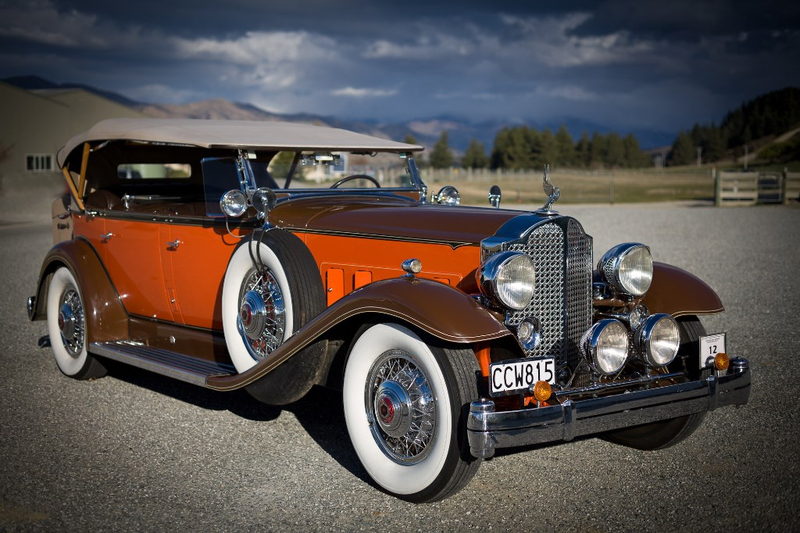 The Packard Car Club of New Zealand has organised a rally which will culminate with the cars being on display at WOW 2018. Among the 50 vehicles coming to Wanaka will be ten which are being shipped from the United States especially for the event. There is a strong link between the cars and some WWII aircraft also displaying at Wanaka. During WWII the Packard company made an American version of the famous Rolls Royce Merlin engine to power fighter aircraft and bombers. The Packard Merlin V12 engine was fitted to many aircraft types, including the P-40 Kittyhawk and P-51 Mustang. A number of these will be flying at Warbirds 2018. So Packard V12 engines will be both on the ground and in the air. Over the years there have been numerous classic car displays at Warbirds Over Wanaka. It’s fitting that for our 30th anniversary celebrations we have such a world-class collection of cars on display. Back in the late 1920s early 1930s you could buy 20 Model A Fords for what it would cost you for just one Packard. The value of the cars on display at Wanaka will run into many millions of dollars. The cars coming from the United States all belong to members of the Classic Car Club of America where strict entry requirements means cars in the club are really the best of the best. WOW will have a stand at the Illawarra Airshow (NSW) this coming weekend, come and say Hi if you are there.